Paul Pogba has denied claims that he insulted French journalists whilst celebrating Dimitri Payet’s goal in Wednesday’s 2-0 victory over Albania. After a poor performance in the Euro 2016 opener against Romania, the Juventus midfielder was benched by Didier Deschamps for France’s second group game. But after a goalless first half, Pogba and Antonione Griezmann, who was also dropped, were brought on to secure a victory which put the host nation into the last 16. 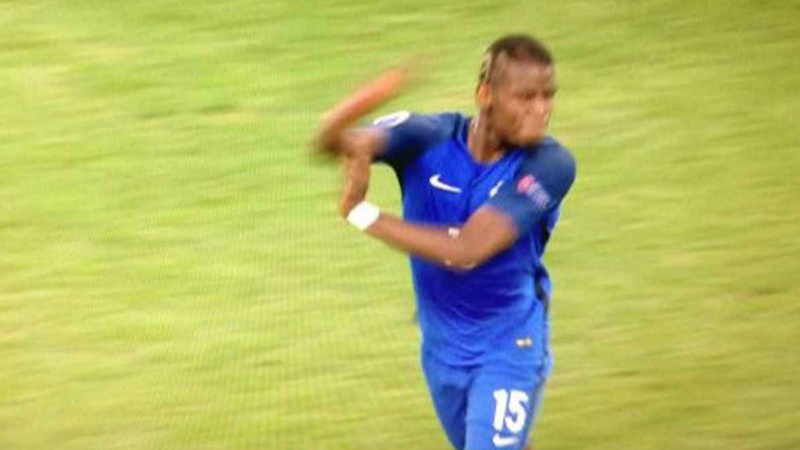 Pogba has been accused of using the 'bras d’honneur' or 'umbrella gesture' in response to criticism from journalists, a claim which the midfielder has denied. "I want to say sincerely, but very firmly, that whatever interpretation you want to take from these images, I never had any intention to make a gesture towards someone or take my revenge on anyone. "I was crazily happy by the goal and I turned to the stand where I knew my mother and my brothers were and I did my usual celebration, arms in the air and fists lifted.